Anshul Gupta, Gartner research director says, “Emerging Asia/Pacific (15%) and North America (11.2% increase) drove the smartphone growth in the quarter." "In emerging Asia Pacific, both Samsung and Huawei saw healthy demand along with Xiaomi and Vivo, which were able to grow their footprint outside their home markets. In North America, Samsung was the driving force in the quarter due to its new flagship products." 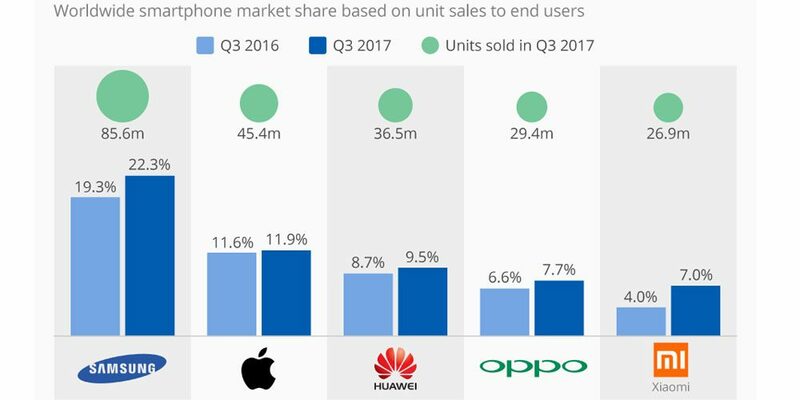 383 million smartphones were sold in the third quarter of 2017, a 3% increase over the same period in 2016. 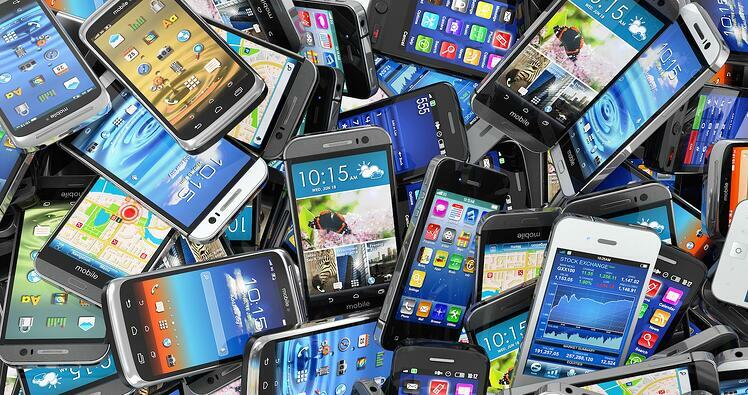 All of the top five smartphone vendors achieved double-digit growth apart from Apple, which achieved a 5.7% increase. Xiaomi achieved the strongest growth, exhibiting an 80% increase in the third quarter of 2017. Xiaomi's growth came more from international markets than from China, where it faces strong competition from Huawei, Oppo and Vivo. India continues to be the biggest and highest-growth market for Xiaomi outside China, but growing sales from Latin America and Russia are also boosting its sales. Samsung’s smartphone sales recorded a double-digit increase (19.3%) in the third quarter of 2017, the first double-digit increase for the company since the fourth quarter of 2015. Gartner puts this down to renewed pushes of the newly designed Galaxy S8, S8+ and Note 8 smartphones which have brought back growing demand for Samsung smartphones against its Chinese rivals. Apple's sales grew 5.7% year over year and has experienced a return to growth in China while also seeing strong sales in many of the emerging markets, including India. Gartner says this is due to the continued sales of legacy iPhones, including the iPhone 5S which retails at around $240 street price in most markets.